For HR professionals looking to foster the development of leaders, the reach and scale of digital learning is appealing. 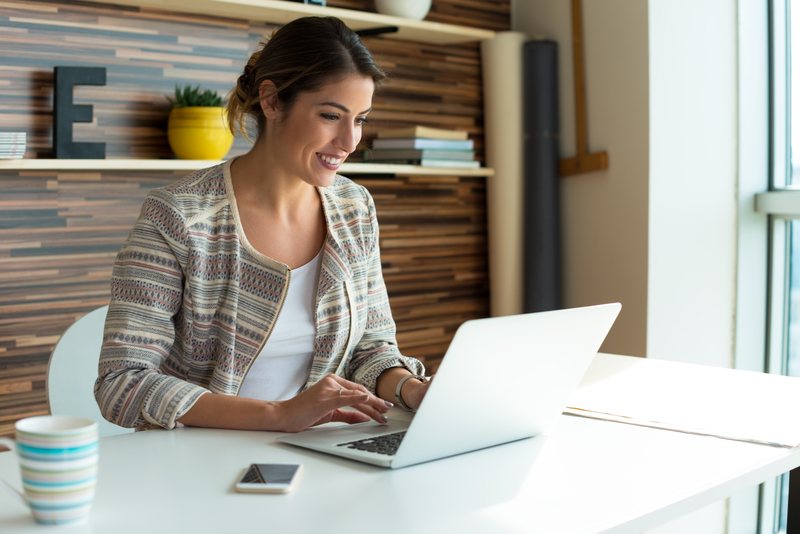 However, many question whether online learning can work for an executive population that is accustomed to in-person development. ExecOnline research clearly suggests that, in many ways, digital courses can be an effective alternative or complement to in-person leadership development – and, when properly designed, digital learning offers significant advantages. Not only do executives report that digital learning is less disruptive to their work and personal lives, they also report a higher level of motivation to take and complete digital programs relative to in-person development. Is Digital Learning as Effective as In-Person? While many organizations have turned to online courses or converted traditional learning and development materials to digital formats, these are typically reserved for front-line and junior staff. However, the advantages for senior leadership are just as palpable: these courses are promoted as a more convenient, less resource-intensive and cost-effective alternative to in-person learning sessions. Conventional wisdom holds that this allows executives to more easily fit learning sessions around their schedules while enterprises can help manages costs. But the question remains: Can digital learning provide leaders with the same quality learning experience? ExecOnline set out to measure the impact of digital learning, surveying leaders who had participated in online programs with ExecOnline. As one might expect, the vast majority of leaders clearly saw digital and online courses as convenient with regard to scheduling and not interrupting workflow: Ninety-four percent of leaders reported that digital learning was “better” or “much better” than in-person learning at fitting in with schedules. This trend was equally pronounced when looking at disruptions to work and family life – 86 percent and 85 percent, respectively, reported digital was better at minimizing these disruptions. Executives found digital learning less disruptive – and were more inclined to take and complete courses. The real insight was in how leaders described how digital learning impacted their motivation to take and complete learning courses. 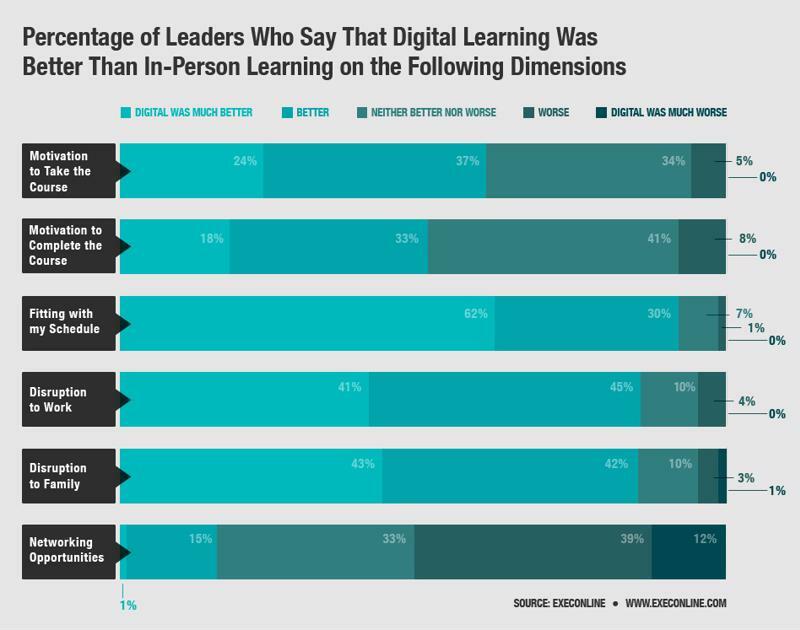 Sixty one percent said that digital learning was much better or better than in-person learning at getting them to take the course, while 51 percent said it was better at getting them to complete the course. To learn more about our programs, contact a representative at ExecOnline today!